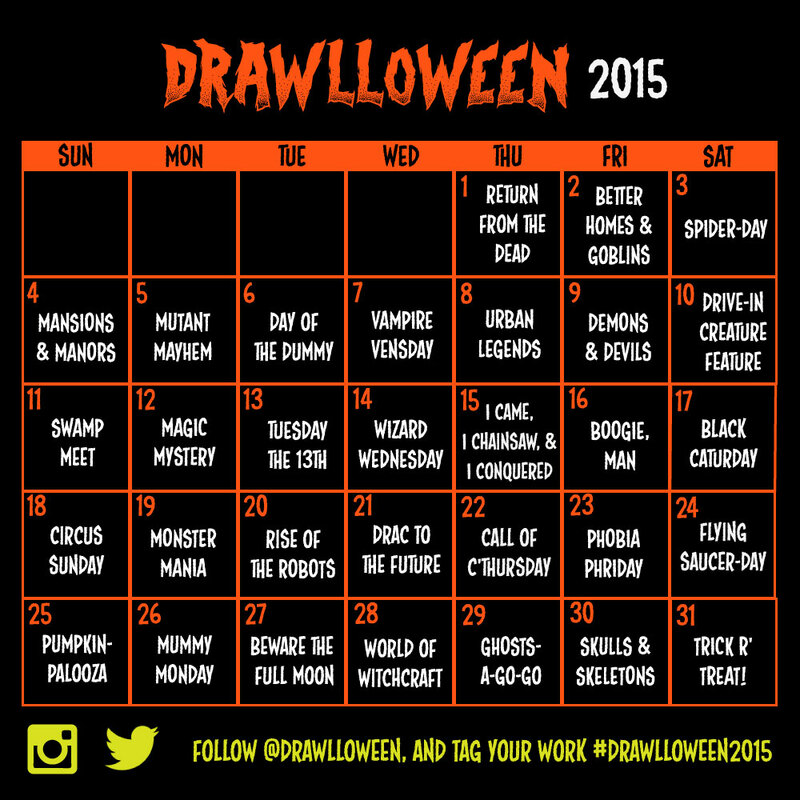 drawlloween: One Week To Go! 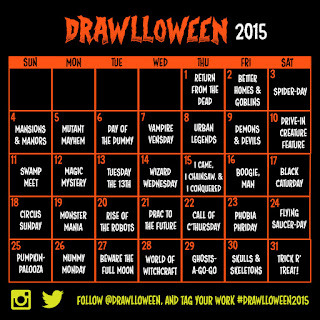 That's right, 7 days until the parade of creeps and ghouls start coming to life in those sketch tomes! We've seen a few different calendars floating around, and that's great! As long as those works of art reflect the wonderful weirdness of the Halloween spirit, we're all for it! Can't wait to see what you monsters have in store this year! I'm going to try this! I saw a different list last week, but i'll try to follow this one!